The author of this great hymn is unknown. Yet, the background has a moving effect. “Were You There?” was originally an African-American spiritual song. It was believed to have been sung before 1865, so during the time of slavery, this song could likely have been sung by slaves while they worked. I cannot fathom what slaves went through during this time, but imagine them singing altogether of the Savior that frees slaves of sin and grants them true freedom! 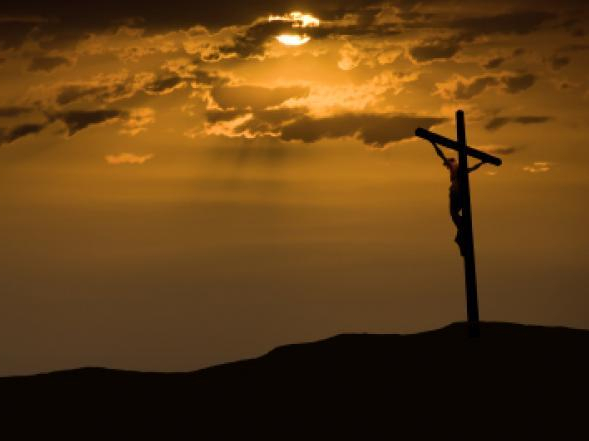 Was I there when they crucified my Lord? Yes, I was the one standing by mocking and yelling, “Crucify Him!” Was I there when they nailed my Lord to the tree? Yes, I was the one holding the hammer to nail him to the cross. I was the thief on the cross beside Jesus who repented. I was the Centurion who said, “Truly, this man was the Son of God!” Was I there when they laid him in the tomb? Yes, I was weeping with the women laying him in his grave, mourning the loss of the Messiah. Was I there when he rose up from the grave? Why, Yes! I was! I was raised to new life with him! I heard him call my name like Mary did and all was made well! My Savior is not dead, he is alive!